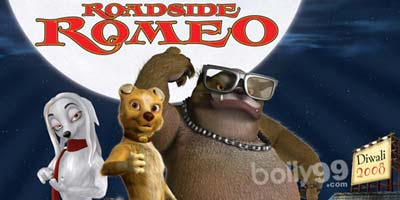 Roadside Romeo could be first animated bollywood movie involve big names of entertainment industry. Yash Raj movies and Walt Disney bring this animated movie which feature voices of big bollywood stars. Voice overs are rendered by Saif Ali Khan, Kareena Kapoor and Javed Jaaferi. Seeing the pic you can guess which star is talking for whom.